The war that has been fought in Darfur over the past two years has been a humanitarian disaster. The violence is said to have amounted to "a demographic catastrophe". And, at the end of January, the United Nations Commission of Inquiry on Darfur reported back to the UN Secretary-General, stating that while there had been serious violations of human rights in the course of the war in Darfur, allegations of genocide were unfounded. These developments afford the international community some space in which to review the crisis and its causes and look towards its resolution. For all the column inches of media coverage of the war, there are still a number of essentially unanswered questions concerning the Darfur crisis. 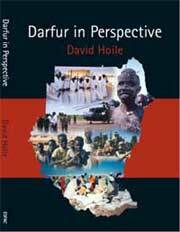 One of the first must be what triggered the systematic outbreak of violence in Darfur in February 2003? This question is at the heart of understanding the dynamics of the conflict. Given concerted international attempts at peace-making and offers of regional autonomy, a second question is what sustains the conflict? A third question concerns whether any of the parties are dragging their feet in the peace process; and, if so, why? A fourth question is what is the real position with regard to humanitarian access to Darfur? A fifth question asks the extent to which flawed interpretations and questionable projections of the crisis – some of them the sort of propaganda invariably associated with war and particularly civil war – hinder both reconciliation and peace-building while at the same time skewing and adversely influencing international opinion. And, of course, following on from this question, relates to the credibility of claims of genocide and ethnic cleansing in Darfur. These inter-tribal and intra-tribal conflicts, some between nomadic communities and farmers, and some within nomadic and farming communities themselves, were a feature from the late 1950s onwards. The following are some of the armed tribal conflicts that have taken place within Darfur since independence: 1957, Meidob against Kababish caused by mutual raiding for camels and disputed territorial access; 1968, Rezeigat against Ma’aliyah, caused by disputed access and livestock theft; 1969, Zaghawa against Northern Rezeigat, caused by disputed access to pasture and water and livestock theft; 1974, Zaghawa against Birgid, caused by disputed access to farming land and livestock theft; 1976, Beni Helba against Northern Rezeigat, caused by disputed access to pasture and water and livestock theft; 1980, Northern Rezeigat against Beni Helba, Birgid, Dajo, and Fur, caused by disputed access to pasture and water and livestock theft; 1980, Taisha against Salamat, caused by disputed access to pasture and water and livestock theft; 1982, Kababish and Khawabeer against Meidob, Berti and Zeiyadiya, caused by disputed access to pasture and water and livestock theft; 1984, Missairiya against Rezeigat, caused by disputed access to pasture and water and livestock theft; 1987, Gimir and Mararit against Fellata, caused by disputed access to pasture and water and livestock theft; 1989, the Fur of Kabkabiya against the Zaghawa, over disputed territorial access and livestock theft; 1989, the Fur against various Arab tribes, caused by disputed territorial access and political conflict; and 1989, Gimir against Zaghawa, caused by disputed territorial access and livestock theft. Six of these thirteen conflicts were fought between Arab nomadic communities: four of the conflicts were between parties who were both non-Arab. All of these were serious armed conflicts, sometimes involving thousands of tribesmen, with combatants increasingly well armed with automatic weapons and vehicles. As is also apparent from the tribes involved, the violence was both within and across ethnic divides. There were also clear cross-border dimensions with the involvement of tribes such as the Salamat which straddle the Chad-Sudan frontier. western Sudan (all of which are Muslim) has been endemic since the late 1980s, when a war broke out between the Arabs and the Fur, two of the ethnic groups involved in the present conflict.”  Much of this violence also had cross-border implications, with affected communities often straddling the Sudan-Chad frontier. From 1983-87, as some northern Darfur tribes moved south into the central farming belt because of the drought, the Zaghawa and Ma’aliyah came into armed conflict with Fur communities. This conflict and others involving the Fur led to thousands of deaths, tens of thousands of displaced Darfurians and the destruction of thousands of homes. It was settled by a government-mediated intertribal conference in 1989. The 1990s were marked by three distinct conflicts. In 1990 the southern Sudan People’s Liberation Army unsuccessfully tried to start an insurgency, led by Fur activist Daud Bolad, amongst non-Arab communities; in 1996 there was a longrunning conflict between the Rezeigat and the Zaghawa; and from 1997- 99 there was fighting in western Darfur between the Massaleit and some Arab tribes. The SPLA-inspired insurgency was defeated within a matter of months and, generally speaking, inter-tribal conferences and conciliation, ajaweed and mutamarat al sulh, settled most of the other disputes. Ahmed, for example, documents 14 inter-tribal conferences amongst Darfurian communities up to 1999. Amnesty International’s picture of Darfur pre-rebellion also overlaps with inter-ethnic tensions: “The lack of employment opportunities, the proliferation of small arms and the example of militia raiding and looting in Kordofan and the south, have encouraged banditry, acts of armed robbery and general insecurity.”  The simple fact is that all these are factors which existed before 2003. An insurgency amongst “African” tribes had been tried and had failed; tribal conflicts had come and gone; ecological factors had been there for some time; the region was awash with weapons. What was it that made the key difference in sparking and fanning the war in 2003? What was it that turned limited, low-intensity conflicts between the pastoral and arable farming groups in Darfur into a well-organised, well-armed and well-resourced civil war? Why was it that for the first time ever warring tribes in Darfur had systematically attacked and killed soldiers and policemen – historically seen as arbiters within regional conflicts? The answers possibly lie with the answer to a final question, perhaps the most elementary one – a question not asked by the international community and especially not by the media – which is the old Latin one of Cui Prodest, or whom does it benefit? Khartoum certainly has not. Several years of painstaking diplomacy, together with the peace talks which culminated in the end of the civil war in the south, had brought Sudan to the verge of normalising its relations with the international community. To somehow believe that the Sudanese government set out to destroy all that work by recklessly embarking on “genocide” in Darfur just as it was poised to rejoin the community of nations would be naïve. The Zaghawa and Fur communities have similarly not benefited, having borne the brunt of a ruthless insurgency and counter-insurgency. The close involvement, both in the preparations for the war, and then in the war itself, of veteran Islamist politicians and paramilitaries drawn from the Popular Congress is evident. These forces have used Darfur as a battlefield on which to wage war against the Khartoum government– and ironically were, in large part, the same people who ruthlessly put down the attempted insurrection in 1990. Previously sidelined in Khartoum politics from 1999 onwards, the Darfur conflict has brought these Islamists back to centre stage, and, in so doing, the Popular Congress has changed the electoral dynamics of western Sudan. 1 “Darfur Violence is “Demographic Catastrophe”: Study”, News Article by Agence France Press, 1 October 2004. 2 For more details see Darfur Humanitarian Profile, United Nations, Khartoum, December 2004, available at www.unsudanig.org. 3 Darfur 120-Day Plan Report September to December 2004, Office of the United Nations Resident and Humanitarian Co-ordinator for the Sudan, Khartoum, January 2005. 4 “Darfur Humanitarian Crisis Seems to Have Eased – WHO”, News Article by Reuters, 25 January 2005. 5 “Sudan’s North-South Peace Deal a Model for Darfur: Officials”, News Article by Agence France Presse, 26 January 2005. 6 Report of the International Commission of Inquiry on Darfur to the United Nations Secretary-General, United Nations, January 2005. See, also, for example, “UN Clears Sudan of Genocide in Darfur”, News Article by Associated Press, 31 January 2005. 7 “Sudan’s North-South Peace Deal a Model for Darfur: Officials”, News Article by Agence France Presse, 25 January 2005. 8 See, for example, Baballa Haroun Nor Adam, “Ethnic Composition, Economic Pattern, and Armed Conflicts in Dar Fur”, Sudanese Human Rights Quarterly, Number 8, July 1999, pp. 9-10. 9 See, for example, Ahmed, A. M. and Harir S., Sudanese Rural Society: Its Development and Dynamism, (Arabic) University Khartoum Press, Khartoum, 1982. 10 See, for example, F. N. Ibrahim, Ecological Imbalance in the Republic of the Sudan: With Special Reference to Desertification in Darfur, Bayreuth, Germany, 1984. 11 See, for example, Roland Oliver and Anthony Atmore, Medieval Africa 1250-1800, Cambridge University Press, Cambridge, 2001, p.106. 12 Richard Lobban, “Complexities of Darfur”, Sudan Tribune, 3 August 2004. 13 R. S. O’Fahey, “W. Sudan a Complex Ethnic Reality with a Long History”, Sudan Tribune, 15 May 2004. 14 Ismaeil Abakr Ahmed, “Causes of Tribal Conflicts in Dar Fur”, Sudanese Human Rights Quarterly, Number 8, July 1999, p.24. 15 Sharif Harir and Terje Tvedt (Editors), Short-Cut to Decay: The Case of the Sudan, Nordic Africa Institute, Uppsala, 1993. 16 John Ryle, “Disaster in Darfur”, The New York Review of Books, Volume 51, Number 13, 12 August 2004. 17 Darfur: “Too Many People Killed For No Reason”, Amnesty International, London, February 2004.